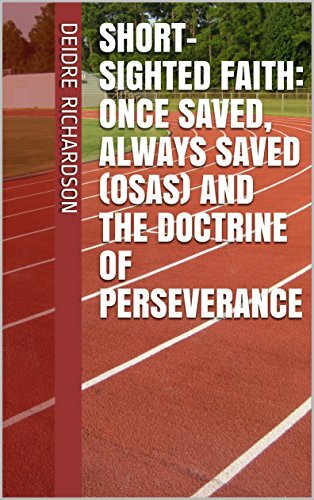 Having studied both Calvinism and Arminianism extensively over the last two years, I can safely tell you that no major soteriological text (books on the Doctrine of Salvation) will be written without a section on the Doctrine of Election within them. And when it comes to the issue of election, Romans 9 is the Classic Calvinist trump card, supposedly in favor of classic, five-point Calvinism. As Dr. Forlines writes, “Romans 9 is considered the bedrock of Calvinism” (F. Leroy Forlines, Classical Arminianism: A Theology of Salvation. Nashville: Randall House, 2011, page 97). While there is much to say regarding Romans 9 (and I have done quite a bit of my own extensive treatment of the chapter), I will focus instead on a verse or two in Romans 9 and Dr. Forlines’ own response to John Piper’s argument. For those who desire to see John Piper’s extensive treatment of Romans 9-11, I refer you to his work, The Justification of God. 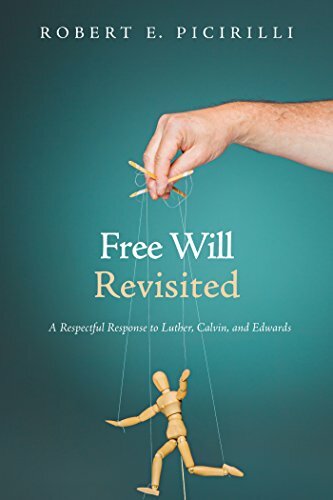 Piper’s book is one that I have read only excerpts of, but I still believe that every Classical (Reformed) Arminian should be aware of the arguments presented by the opposition (in this case, Calvinists)...and should know how to refute them. Yes, it’s true: theology and apologetics go hand-in-hand. Romans 9:10-13 will be the subject of this post, particularly verses 11-12. It is in these four verses of Romans 9 that we find Paul’s argument concerning two twin brothers, Jacob and Esau, born to parents Isaac and Rebekah. The text says the Lord chose Jacob “the children not yet being born, nor having done any good or evil.” The Lord did this so as to show that election is not about human works, but about the divine call. That is, election is the initiative of the divine, not the human. God must come to the human to initiate salvation...without which, the human could never approach the divine. 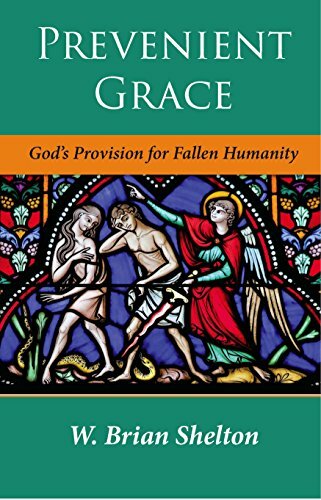 “Paul’s purpose in referring to God’s choice of Jacob over Esau is to show that there is no way to evade the implications of God’s unconditional election here...it is based solely on God’s own free and sovereign choice” (John Piper, quoted by Forlines, Classical Arminianism, page 120). Before I tackle Forlines’ remarks, let me pose a question to you, the readership: Piper assumes that, for God’s election to be “free and sovereign,” it must be unconditional. But why is that the case? Could God NOT elect individuals based on faith? Could the Lord not elect conditionally (based on faith) if He so wanted? Calvinists are all about the sovereignty of God; but it seems that, when they posit that God can only be sovereign if He unconditionally elects, they are “limiting” in a sense, divine sovereignty. God’s freedom to “do as He pleases” involves the notion of conditional election as well as unconditional election. “The Calvinist errs, on this subject, in suggesting that God knows the future certainly only because He first unconditionally foreordained (predestinated) it. But that is to confuse knowledge with active cause and so in effect to take away contingency. God’s foreknowledge, in the sense of prescience, is part of His omniscience and includes all things as certain, both good and evil, contingent, and necessary. It is not in itself causal” (Robert Picirilli, quoted by F. Leroy Forlines, Classical Arminianism, page 77). Notice that, in Piper’s quote above, the passage leads us to “unconditional election”? It’s the Calvinist presupposition that Calvinists cannot escape! Everything is unconditional with them...but the question is, does the passage support this? Or, are Calvinists themselves placing a presupposition on Scripture where Scripture does not necessarily support it? In my opinion, the answer is found in the latter. The foreknowledge of God is not necessarily causal. Just ask yourself: if you think that foreknowledge is causal by necessity, then, every tragic event in our world has happened because God “foreordained” it. Surely, God is light and never darkness (1 John 1:5), so at the very least, there are portions of God’s foreknowledge that are non-causal. Of course, there are portions of God’s foreknowledge that are causal; a good example of causal foreknowledge would be God’s foreknowledge of His own actions (such as sending Jesus to die for the sins of the world). But with such issues as David’s sin with Bathsheba, God “foreknew” the adultery would take place...but He knew it “non-causally,” in a different way than He foreknew His own sending of Jesus to atone for humanity’s sin. “We attribute Eternity to this decree [of predestination], because God does nothing in time, which He has not decreed to do from all eternity. For ‘Known unto God are all his works from the beginning of the world’ (Acts 15:18), and ‘He hath chosen us in him [Christ] before the foundation of the world’ (Eph. 1:4). 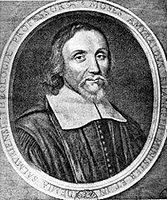 If it were otherwise, God might be charged with mutability” (James Arminius, “On Divine Predestination,” quoted by John Wagner, Arminius Speaks: Essential Writings on Predestination, Free Will, and the Nature of God. Eugene, Oregon: Wipf and Stock Publishers, 2011, page 9). “Even if verse 11 were seen as dealing with election for salvation, the case is still not decided for unconditional election. There is certainly no problem with the election occurring before birth. I think it does. Individual conditional election by God in eternity past does not involve a logical contradiction” (Forlines, Classical Arminianism, page 121). Thanks for reading. It is always a blessing to have your support. I recently read some stuff you wrote on inerrancy. I'm really proud to know you and call you my brother in Christ. 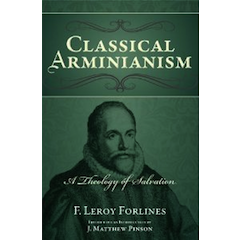 In addition, if I'm not mistaken, you might have read Forlines' new systematic ("Classical Arminianism," the book that has been the subject of several posts here). If you have read it, I ask that you would write a book review for your own site and book sites...and post it in those places. I have had correspondence with Dr. Pinson and he desires me to spread the word wherever I can about promoting the book. Again, I praise God for our strong bond in the Lord. Stick around; since I know you are as big on exclusivism as I am, I've got another inclusivist post on the way. I'll post it next week. God bless. 1. 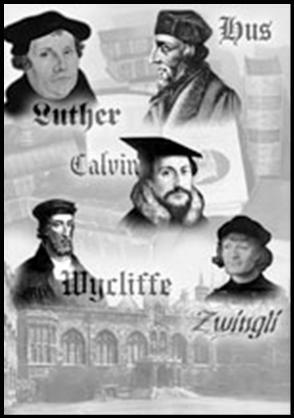 The five-points of Calvinism, I think, best explain the vision throughout the whole bible, and they are logical progressions of each other. For instance, I would agree that Romans 9 isn't enough by itself to fully justify unconditional election, but Genesis 6, Ephesians 2 and Romans 3 give a very strong case for total depravity, and in the language of Ephesians 2:1, a dead man can't choose to be alive. So it is God's work alone that brings about life in a believer. And I would say that is a better way of biblically justifying unconditional election. 2. You speak of conditional and unconditional election as if they were two paths, and it is just as easy to take one as the other. I just wonder if you've thought of the necessary consequences of conditional election, ie. partial depravity, limitations of God's sovereignty, possibility of losing salvation (which I think Romans 8 and John 6 make a fairly strong case against). 3. In the paragraph starting "Before I tackle Forlines’ remarks," I interpreted what you said as something like 'couldn't God do X just as easily as Y, and if not, you are limiting His sovereign will.' Well, maybe. But scripture is the only way to know these things about God, and because God is faithful, we know He will be faithful to His word. So the matter should be about what He has promised in His Word, not what He might hypothetically do via our judgment. And I think it's fairly clear in His word that Jesus is the author and perfecter of our faith, and that God has brought us from death to life, not because of us but in spite of us. Thanks for writing a comment to the blog. I have a couple answers, which I will start posting this week. One post I have already written to respond to the first part of your comment...the second I will write and post soon. 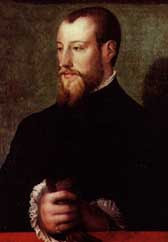 In the meantime, I'm just wondering: have you ever read any of Arminius's works? If you've read him, you will find that he never argues for partial depravity. 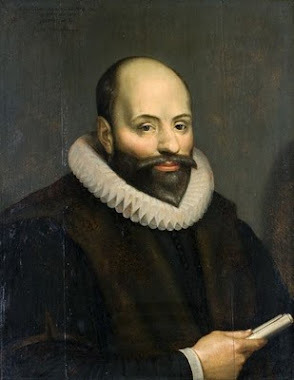 As my post for tomorrow will reveal, Arminius believed in the total depravity of man. So holding to conditional election does not mean what you think it does. By the way, how would you define "conditional election?" I'm just curious to know. With regard to "the limitations of God's sovereignty," you're making a philosophical claim that no Reformed Arminian would make. Open Theists hold to partial divine foreknowledge...so they would argue for a limitation of God's sovereignty; but Arminius also held to exhaustive divine foreknowledge, as do I , as do all Reformed Arminians...which would make us rather "Reformed" in our theology. With my argument about hypotheticals, I was simply making the case that Calvinists often rule out Arminian theology from the outset. 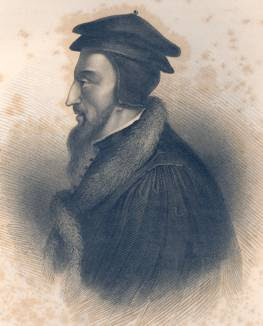 I agree with you that Scripture should determine who's right; at the same time, I'm completely convinced that Scripture does not argue the case for Calvinism, simply because the Scriptures directly affirm resistible grace (Acts 7:51), unlimited atonement or what Reformed Arminians call "singular redemption" (1 Timothy 2:4; John 3:16; 1 John 2:2), election on the basis of faith (Rom. 9:30-33; Romans 10:9), as well as conditional perseverance (Rom. 11:22; Matthew 13:21; Mark 4:17; Luke 8:13; Heb. 6:4-6; Heb. 10:35-39; 2 Peter 2:20-22). Every Calvinist I've ever talked to simply overlooks passages like Hebrews 10:35-39 which talks about the "just" person who "draws back," and how we do not retreat "to perdition, but believe to the saving of the soul," etc. These passages are often made to refer to "fake believers"; however, I've never seen one letter in the NT refer to fake believers. All the letters the apostle Paul wrote referred to "the saints". 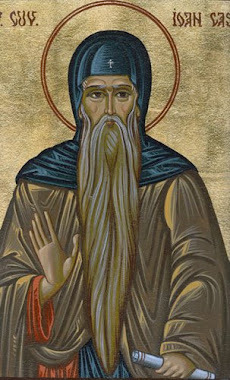 While there were false teachers and false prophets in the churches, the biblical writers often referred to those with a genuine anointing, such as John, who in 1 John 2:27 told the believers that they had a genuine anointing...and yet, in the same chapter, he warned them about those who were trying to lead them astray from the doctrine of Christ. No Calvinist I've met yet has been able to explain away these passages of Scripture for me. You seem all too sure about the interpretations of Romans 8 and John 6. But you should do a search in the search box at my site...and you will find that I have answers to your interpretation that may surprise you. For a recent post, I just posted on Romans 8:30. It should be on the main page, so read that first if you'd like. No, I haven't read any of Arminius' work. 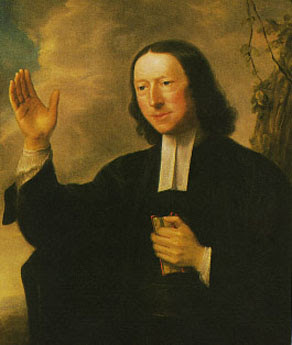 I confess, I all-too-quickly dismiss his works, no doubt because of doctrinal pride. And I have no idea what "Reformed Arminianism" is. The two words sounds opposed to me. But in response: There are a lot of passages there, and I'll try to reply to the key ones, for the mere fact that replying to each would take hours. Acts 7:51. This passage was at the climax of Stephen's speech. 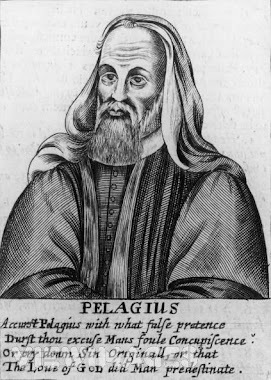 In context, he quotes three OT ideas of Israel's failings: that they were "stiff-necked," "uncircumcised in hearts and ears," and always "resisting the Holy Spirit." The final quote is from Isaiah 63:10, which is talking of Israel. I would say, yes that could be the first reading of the passage, but any doctrine shaped on a single passage should be suspect; especially when Romans 9:19, John 6:37-39;44-45;65 seem to be saying the opposite (at least) as strongly. And, yes, there are warnings about ungodliness and falling away and not being fruitful all the way through the NT, and I'd of course admit that because such a great emphasis is placed on them, it'd be foolish to assume from select passages speaking of our security in Christ (Romans 8:38-39 was more what I was referring to in the last post) that we can ignore all these warnings. But I would be hesitant in assuming that Acts 7:51 is proof enough that we can resist God's Spirit, especially when Stephen was speaking more of Israel's rejection of the Messiah. Hebrews 10:35-39: Considering you put a particular mention of this passage (and the lack of good Calvinist response), I thought I'd give it a go. My summation of the doctrine: "We must be careful lest we fall (1 Corinthians 10:12), and "we know them by their fruit." And if someone is truly saved by Christ, they will be bearing fruit (though granted, people do go through tough times, so you have to be careful about how rigidly you enforce this), and they will persevere to the end. I think the parable of the sower best explains this; note, the only attribute of the seed that lands on good soil is that they "understand it," (Matthew 13:23) unlike the rest. But also, if you look at the purpose of Hebrews, it was written to Jewish Christians who were beginning to revert back to their old ways of Judaism. That's why, if you look at the outline of the letter, it has a chapter on the supremacy of Christ (over angels), then a warning against falling away, a chapter of Christ's supremacy (over Moses), then a warning against falling away etc. The letter I think is best summarised in Hebrews 12:1-2: "... let us run with endurance the race that is set before us, looking to Jesus, the founder and perfecter of our faith, who for the joy that was set before him endured the cross, despising the shame, and is seated at the right hand of the throne of God." Ie. Look to Jesus (human responsibility), but at the same time, Jesus is the author and perfecter of your faith (God's sovereignty). To quote 2 Peter 1, he was wanting that they "be all the more diligent to make [their] calling and election sure, for if [they] practice these qualities [they] will never fall." Because it seems to me that they were in danger of doing do. Lastly, 1 Timothy 2:4, John 3:16 and 1 John 2:2. I think 1 Timothy 4:10 summarises my thoughts best: Jesus died in some sense for all (Colossians 1:19-20, 1 John 2:2), but in a salvific sense, only for the elect. And the elect are the only people who have ever or will every have any opportunity to receive the atonement for their sins unto eternal life. John 11:51-52. I'd like to hear your thoughts on how it fits with your thoughts on the atonement. Also, http://vintage.aomin.org/2PE21.html is, I think, a very well-written and biblical article. Thanks for returning to the site. Regarding Arminius, I responded to the first part of your first comment on a new post recently, titled "Responding to the Objections." It should be on the main page. I won't summarize what I said here...but you should read it. It will get you to thinking about how different Arminius is from your assumption that Arminians hold to "partial depravity." Hebrews 10:35-39 is placed in a chapter context where, you are right, the Jewish Christians were retreating to Judaism. This is why the writer exhorts them to not "forsake the assembling of ourselves together," and so forth. But you never answered the question of how this points to believers today. Evidently, if the writer didn't think they could go back to Judaism, he would never have warned them. This is why the warnings about falling, going back, and "not being renewed to repentance" (Heb. 6 for example) are vital: because those Jews could indeed return to their former faith. Jesus is the author and finisher of our faith, but this does not necessarily imply irresistible grace. Truth be told, there are no verses in the Bible that argue for irresistible grace. That is a presupposition that exists because you hold to Calvinism...but you have got to prove that in order for someone else to see what you're talking about. In regards to John 6, yes, there were some who did not believe; but what do you do with the fact that Jesus asked His disciples, "Do you too want to go away?" The question here is, does Jesus ask them this because they cannot leave? Or does He ask them this because they can? If they can leave, and they don't, does this mean that they stayed because God made them stay? God violated their choice to walk away, etc.? I think not. The Lord did not chase the rich young ruler when he walked away...and yet, the ruler was earnestly seeking eternal life. He sincerely wanted to be saved...but he didn't understand at the time that it would cost him his riches. There are many people like this in the world. It's not that they aren't sincere; rather, it's just that they have a misunderstanding of what the gospel is about. Back to John 6...I don't see why Christ would ask them about departing if He was irresistibly holding them there with Him. You brought up good verses in your response...but I wanna introduce you to Reformed Arminianism as a system. Contrary to what you may think, the two are actually biblical and can exist together. I highly suggest that you surrender what you call your "doctrinal pride" and buy Forlines's book. I have a link on the main page where you can click over to Amazon and purchase the book (now for about $18). In addition, for further reading, I recommend Roger Olson's "Arminian Theology: Myths and Realities," as well as Robert E. Picirilli's "Grace, Faith, Free Will." 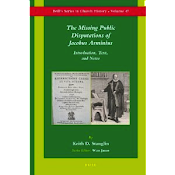 To read pertinent quotes of Arminius, buy John Wagner's "Arminius Speaks: Essential Writings on Predestination, Free Will, and the Nature of God." 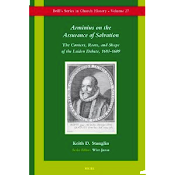 It's a new copy of Arminius's major sayings, just published this year (2011).